Also known as: Where do I start with this kid so he can learn to read? No matter how much we try to avoid it, the start of the school year is either here or just around the corner. Now, be honest, no matter how much you love your job there is a bit of melancholy that school is beginning, winter is coming (I know that part causes me despair!) and it’s about time to get to work. Today I’m going to review a handy app that is wonderful for SLPs, Title Teachers, and SPED teachers alike. Intrigued yet? 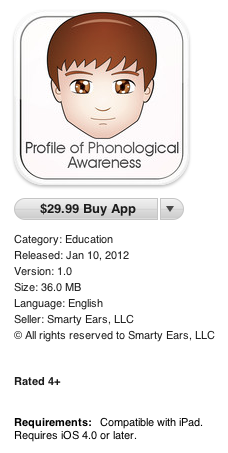 The app is the Profile of Phonological Awareness (Pro-PA) by Smarty-Ears. Pro-PA was authored by Tanya Coyle whom many of you know as SLPTanya on twitter. As a Canadian SLP-C, she (not so) affectionately calls herself an Assessment Donkey…meaning assessment is the bulk of her job (and that she can pretty much recite the CELF-4 in her sleep!). As such, she’s always looking for effective and efficient assessments. Tanya is also a bit of a literacy guru, and she wasn’t happy with the phonological awareness assessments out there. Most took too long or didn’t look at the things Tanya thought were important. She wanted something more to make her life easier. When we combine Tanya’s assessment skills and passion for literacy the Pro-PA seems like a natural combination. I’ll be the first to admit, since I buy my own apps I’m always a bit concerned about the price. At $29.99, the app is a bit more money than I would typically spend. But, I’ve been known to spend as much as $60 if the app is good, has some stellar reviews, and is something I can use immediately in my work. I’m happy to report the Pro-PA falls into that category. Yes, it’s a bit of money – but in reality $30 is less than it costs to take 2 people to the movies. Also, when you consider that it’s a screener or assessment the cost doesn’t seem nearly as bad. For the record, I do believe the app is worth the $30. Pro-PA is, plain and simple, a phonological awareness assessment. Unfortunately, it’s not normed (yet), but the manual includes research showing the approximate time-frame for phonological skills acquisition. Basically, everything we need to assess to see if the child has appropriate phonological-awareness skills for literacy. Nice, right? A) Can put students into “groups” so for those teachers/SLPs that are assessing whole classrooms – you can have the student info as well as the classroom info (great for figuring out which rooms need push-in or extra help). B) The prompts to give the student are included in the “Info” area of each screen. All we have to do is tap info and a small window box opens with the words to use to elicit the responses. C) We can skip sections if we need to. You can see here that Rhyming is Blue; Blending is Red; and Isolating is Yellow. At the bottom of the page is a legend explaining each color. (Blue=50-79%, Red=<50%, and Yellow=not administered). Very easy to read with just a glance. Then when you are on the results page, if you tap on each section it will give you a percentage score and a breakdown of the score within each subgroup. For example; if a student scored red in Blending, I could tap on it and it would tell me the students score for blending syllables and blending sounds. The benefit here is that I don’t need to probe any farther to find out if the breakdown is in sounds or syllables. If the student scores 90% in syllables and 10% in sounds, it’s pretty obvious where the trouble is. The same with Rhyming…did a child score poorly on Rhyming because he couldn’t identify words that rhyme or because he couldn’t produce words that rhyme? As with most Smarty-Ears apps, we have the option of printing or emailing the results. 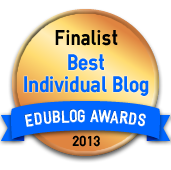 This makes it very nice to be able to plug into assessment reports, IEPs, etc. Truly this is a great little app for progress monitoring as well as early identification. 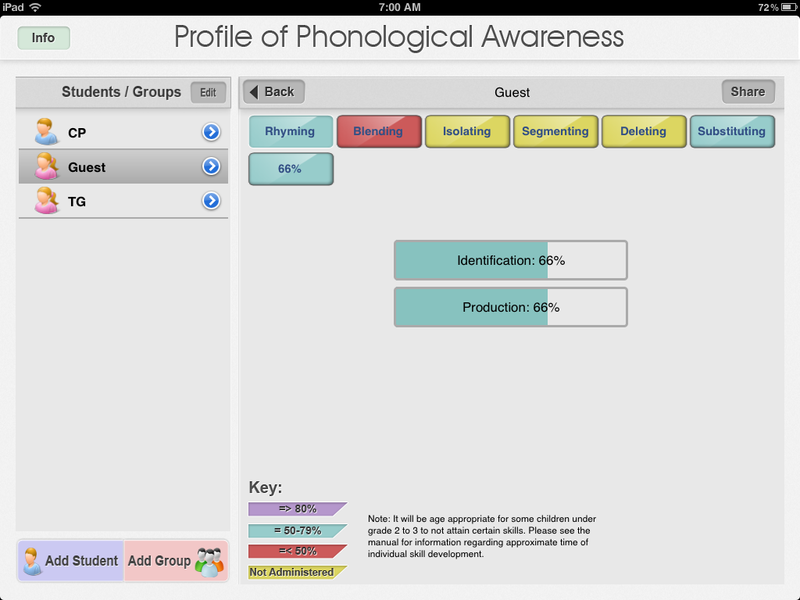 If phonological awareness is something you assess, this is a great app to have on hand. There are a number of videos showing how to use the Pro-PA here...check them out. You might be surprised how easy it is. Let me know if you decide to try it. Thanks so much for writing this review, Mary! I’ve had a couple people ask me about the app (which I have not had the opportunity to use yet), and I will definitely be redirecting them to this review! Nice. I wonder if it’d be okay to use with an Australian population. Vowels and final /r/ excluded!!! I don’t see why not. It’s rhyming, blending, segmenting, etc. If you try it – be sure and let me know. I’d love to see your response. Excellent review, Mary. I will consider buying it now that I know more about it.